Burlington Coat Factory is an American discount retail chain that sells family clothing, coats, home décor and seasonal products. It is publicly traded on NYSE:BURL and operates 540 stores in 44 states and Puerto Rico. There are over 28,000 employees and in 2013 revenues were reported as US 4.7 billion. If you have a problem with a purchase or service you may call 855-355-2875. You may also find contact information here. If you would like to send postal communication to the CEO, Tom Kinsbury, address you letter to him at Burlington Coat Factory Corporate Office, 2006 Route 130 North, Florence, New Jersey 08518. The corporate phone number is 609-387-7800. 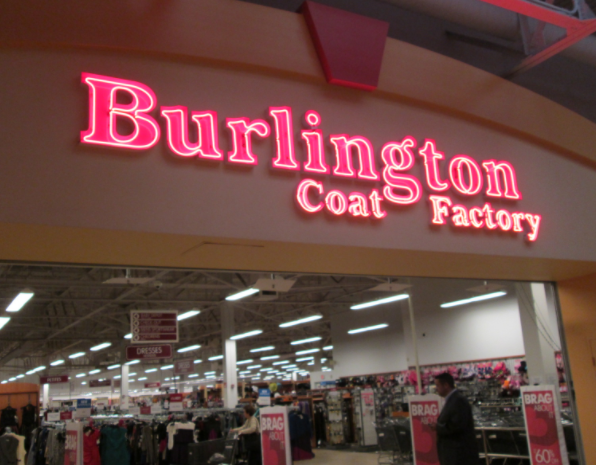 Burlington Coat Factory was founded in 1972 by Monroe Milstein and primarily sold coats and jackets in the Burlington Township of New Jersey. The company has partnered in the past with Good Morning America to collect coats for disadvantaged Americans and also supports womens heart health awareness. Social presence may be found on Facebook, Twitter, LinkedIn, Instagram and Pinterest. I went to Burlington Store on Saturday, April 13, 2019 in Security Mall, Baltimore, Maryland because I discovered that Calvin Klein Truffle Woman Rain Coat that I purchased in December 2018 still had the sensor attached to the coat. I had purchased the coat from Arundel Mills Burlington Store and I no longer had the sales receipt and could they take the sensor off the coat. I did have the tags that came with the coat. The store cashier and the manager advised me that without the receipt they had to check the computer for the coat purchase. At the time I did not have the Burlington tag or the credit that I purchased the coat with, so I advised them I would go home and get what they needed because I lived 10 minutes away and I would be back. 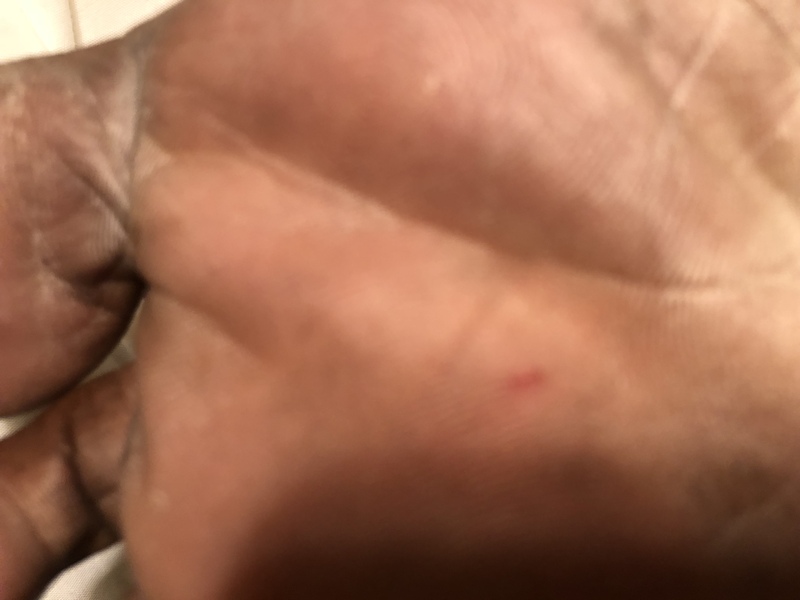 When I returned to the store the manager which I did not get her name, searched the computer and said she still could not fine the purchased information and I would have to go back to Arundel Mills to see if that Burlington could fine the coat in their computer system and remove the sensor. Needless to say, I left the Burlington Store in Security Mall with the sensor on the coat. I went to a different store to purchase something and explain to them what had happened and they had sympathy on me and removed the sensor. I feel that I'm stuck with a watch and was extremely disappointed when I was told I could not get store credit because I didn't have a receipt and when I purchased the watch another man in front of me got refunded with no RECEIPT he simply didn't like the watch, it seems I'm being treated differently because of my skin color and my choice of religion. I would like to speak with somebody or email me back. Please reply Joe Giorno (267) 252-4459 or joegiorno59.59@gmail.com. Thank you for your time from a frequent shopper. My privacy was violated by your staff at your store in Arundel Mills, Maryland, yesterday, April 2, 2019. She was following me around in the men's changing room. I felt uncomfortable and raised my voice to draw attention to the situation. Two other members of your staff (a guy with dread locks and another lady) came in and were trying to justify what the woman did, because she works there. The guy was screaming back at me that she works there but when I asked him if he could go into the women's changing room and follow a woman around, he didn't answer. The second lady was trying to talk me down for raising my voice. It was my birthday and I went to your store to do some shopping, only to be treated like that. It ruined my day and what was supposed to be a day of celebration for me, turned sour. I asked to speak to the manager and I explained my concerns to her, and she is aware of what happened. Even though I paid for the clothes and have my receipt as proof that I was at the store, I would NEVER shop at any of your stores again and would discourage ALL my friends from doing so. Furthermore, I demand an apology and proof that the situation would be handled. You can check your records for my phone number 443-561-6069. I would like to return the swimming suit I just bought. I have the receipt and all the tags and labels are on the swimming suit. The woman who represented she was the manager of the 125th branch of burlington factory yelled at me that I can't return the swimming suit. When I bought the swimming suit, nobody warned me that swimming suits were not allowed to return or it was final sale. Another bad experience was that I bought two $50 gift cards during the holidays and I was shocked each of my cards had only $41.90 left after a couple months. There is no notice that the value of gift cards would be reduced if they are not used within certain time. I won't buy anything in this bad store anymore. Terrible experience! I was given a document to contact customer service when an item I attempted to return was declined. I called the number and was informed that I had been placed on some list and can not purchase with a return an item for 6 months. I was told by the rep.that I was informed of this on 10-28-18. Yet they have no documents, tape or written confirmation that I was informed. Also I would not shop at a store that prevents me from returning, if the item does not work out. Burlington has continued to take my money and ask for my phone number in case of return since 10/28.Yet they had no intention of accepting a return from me. This is fraudulent activity and a money grab. They are conducting transactions with me which is a contract but not fulfilling their portion of the contract which is written on the back of their receipt. I don't like calling people/companies frauds unless there are facts but they have provided me all the facts now.. I don't have a problem if you don't want me to shop at your store. But do not take my money and deny me all the processes associated with the transaction. 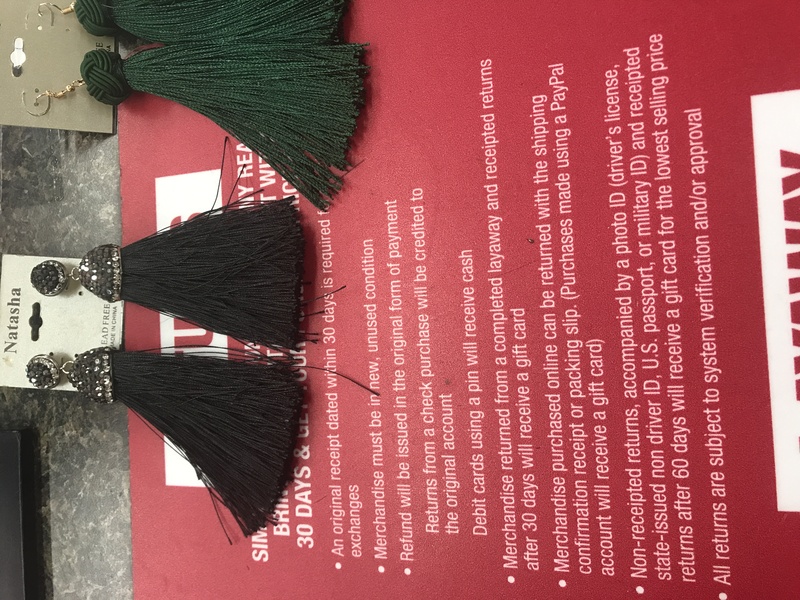 All I ask for is honesty and in all of the weeks since 10/28 that I have shopped and made purchases at Burlington, at no time was I informed that the Return policy would not apply..I would never shop at any store that would operate in this manner. So the return that they denied for $17.00 will cost Burlington hundreds of dollars in the future. I hope you find plenty of people to make up the lost revenue from one for your Former customers. Also, I intend to share my story with others and inform them to watch out when they shop at Burlington in the future. As the saying goes "Just So You Know".,something you may want to adopt in your communication process as it relates to your "Return Policy". My husband ,2 yng girls & i were shopg @ Burlington in hatfield,pa.we overheard a woman named sandy reprimandg a employee because she asked a man to leave womens dressg room.she also stated that it was unisex.were horrified & won't be shopg @ Burlington ever again. Placed an order for 1 large piece of luggage. Live in a town with a Walmart only. Payed extra shipping to get it here prior to my trip in 1 week. Email showed it was shipped with fed ex to arrive on Monday, I leave on Friday. Upon tracking it it showed it was canceled by sender... BY BURLINGTON COAT FACTORY. They canceled it!!! After saying they shipped it!!! Then calling on Monday ad they are closed on the weekends I get a women... Denise who tells me they’ll make sure I’m reimbursed, I tell her NO, I need the luggage!! She gives me a long number to write down and says “someone will get back to you, thank you for calling. I SAY WAIT!!! When will they get back to me? Possibly on Wednesday. I tell her NO!! !, I need my luggage. I ask for a supervisor and she comes back 10 minutes later saying she’s busy she’ll call you back. REALLY!!! Not do I only not believe that will happen... but after calling Corporate... to complain.. GUESS WHAT? There’s no one to complain to... except the same place I just called. That’s the only routine they have.. HORRIBLE!!! Don’t buy from them!!! I went to store 961 in Rogers Arkansas today (12/16/17) where my wife had a seizure. This is not the store's fault as she has a history of seizures, but I was trying to get her off of the sales floor and this is where the problems began. A store associate walked by talking on a phone, and I attempted to get his attention 3 or 4 times. He heard me, judging by the way he winced when I was trying to talk to him, but he just ignored me and ran (seriously, ran) into a break room and locked the door. After the seizure was over I helped my wife to the front door to try to determine if the store had a wheel chair we might use. The two associates at the front door were watching us walk up, and they both walked away from me when I approached them. I move back and they returned to the front door. I approached them again and they AGAIN left the front door to go to parts unknown. There were no wheelchairs in sight, so I can only assume that there are none at the store. I collected my wife and we were leaving the store when the store manager (I assume) asked if she needed to call anyone. I told her no, and tried to tell her about the poor experience I had had with the store associates, but she ignored that and kept talking over me. It was very obvious that she did not care about my issues with the site, and I while I am appreciative that she took a moment out of her busy day to check on us, isn't listening to your customer's problems part of customer service? By comparison, the next store I went to (Wal-Mart) had wheelchairs and even went so far as to assist me with getting my wife around in the store, earning the money that I would have otherwise spent at BCF. Congratulations guys, you just lost a customer. Based off of your store associate performance, you won't care, but a few more incidents like this, and I bet the lost revenue will make you care. please help us, to change it , or all stuff will leave . Today was my first day at Burlington Coat Factory at East point Mall location in Baltimore, MD, 21222. I was hired as a cashier and started my training along with another new hire. She and I were both being trained at the same time on the same register, yet for some reason I was constantly being rushed and told to recount my change repeatedly when I had to make change for a customer. Mind you, I worked for Ann Taylor previously as a cashier for quite a while and as a cashier at another location for over two years even before that. I know how to count change. This wouldn't have seemed like a big deal at all if the other girl (with absolutely no experience) was being hassled as much as me. The woman training us kept telling the other new hire how well she was doing and hoping that "this one" can catch up, referring to me. The only difference I could see was our skin color because I know for a fact that I'm an extremely competent person. It was quite ridiculous and I feel incredibly insulted. I had to get my things and leave today. Luckily, I'm not in need of this job or it would have been quite devastating to have to deal with that level of ignorance. No one should have to be treated as if they're stupid, especially when I'm experienced in much finer retailers than this one. I'm not one to pull the race card, but there's simply no other reason for the very blatant disrespect that I was receiving. Earlier this month, I made an order that consisted of baby clothes for my daughter. They don't ship to post office boxes. So I put in my physical address. FedEx claimed that my address was incorrect and shipped my package back to the Burlington warehouse. 2 days ago, a customer service rep told me on the phone that once they receive my package, they'll ship it back out to me. This morning, I awoke to an email stating that they will be unable to ship it back out to me once they receive it so I should go online and place another order "if the items are still available." They are going to refund me my money, but they are holding the 8 dollars I paid for shipping. Another rep this morning told me that there is nothing more they can do. I am so mad. I ordered that stuff for her for Christmas and the idiots at FedEx claimed that my address doesn't exist. I will never shop with them again. UPS is better than FedEx anyway! I love Burlington but I do wish they would stop selling so many animals fur skin coats here. It's cruelty! I love Burlington Coat Factory. My only complaint is that the coats are fairly expensive and it's hard to justify the cost especially with so many other options now online. Their website is also not that easy to navigate or shop. Still, when i think about getting a really nice coat for someone, it is hard to think of any better place that's local than BCF. My only final feedback to the corporate office, if they are listening, is that some of your stores have turned into flea market type discount shops. If you are going to keep it nice, keep it nice! My daughter was very excited about her prom night like any other girl. I wanted her to feel special by giving her a beautiful gown. At Burlington I found very elegant and a very pretty dress for her. The manager at the store was helpful and has been very patient to show me a variety of collection they had. I must say I was impressed by the way she helped us out. There was a minor alteration to be done and that was done within minutes after purchasing. Quick response from them which is commendable. Burlington has the most quality apparel that one can choose. I would definitely do my shopping next time at Burlington's. Have feedback for Burlington Coat Factory?